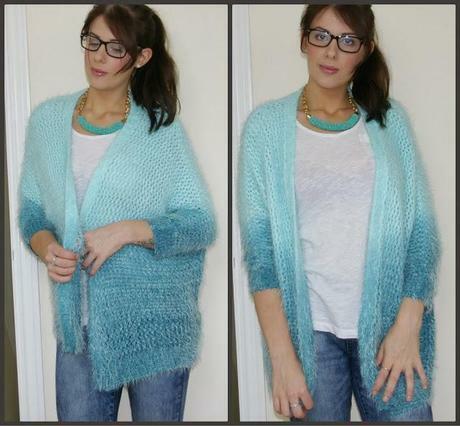 Glasses*; Specs post, Necklace*; OASAP, Cardigan*; OASAP, T-shirt; Primark, Jeans; Newlook, Sneakers*; Maxstarstore. This outfit is really sticking the casual theme I am going for at the moment. 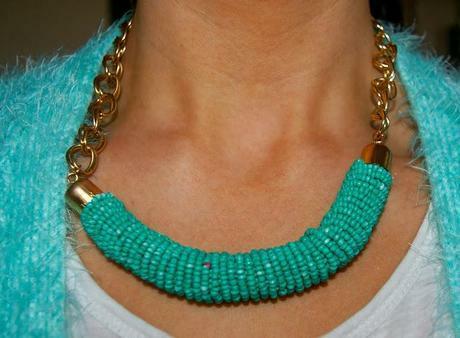 The turquoise color keeps things bright but teamed with the white, gives quite an icy, wintery feel. 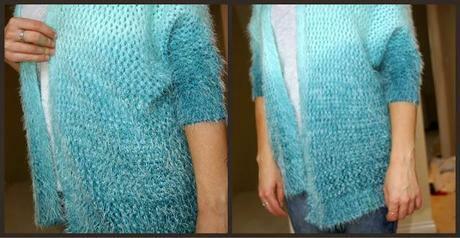 I love the ombre effect of the cardigan and it is SO soft and snug, I love it. Even though it is quite holey, I find it keeps me warm when pottering around the house. The necklace matches nicely too, I like that is big enough to draw attention to it but isn't necessarily a statement necklace, still quite simple and not too much for the day time. The glasses just add to casual daytime vibe of the look, I have a video coming up about them so keep a look out! 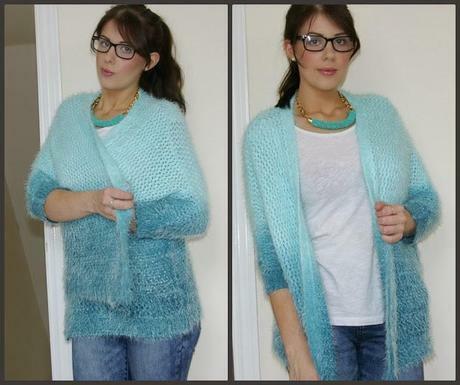 How would you style this cardigan for a more glam look? This month's advertiser is Legally Glam. To be next month's click here for more info.